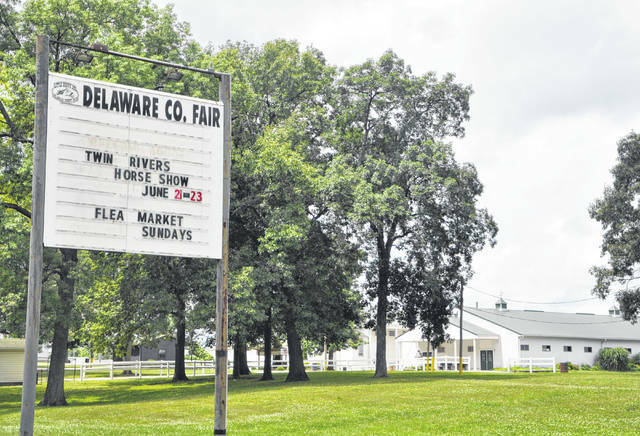 Private gun sales at the Delaware County Fairgrounds, 236 Pennsylvania Ave. in Delaware, will go on as usual after the Delaware County Agricultural Society shot down a resolution submitted by Delaware City Council that sought required background checks be conducted on all gun sales during the flea markets held regularly at the fairgrounds. After two months of deliberation and research by the Delaware County Agricultural Society (DCAS) on the proposed gun resolution from Delaware City Council, the board issued their findings and decision at Tuesday’s meeting. The prepared statement was approved with a voice vote by all but one board member, P.J. Terry, who abstained from voting. In April, city council members passed a resolution urging the DCAS to require background checks for all gun sales made during the flea markets held at the fairgrounds. While the resolution was presented as not an infringement on the Second Amendment, but an attempt to keep guns out of the wrong people’s hands, the nature of the resolution would have presented further implications. But Howard elected to send the resolution to an executive committee for further research and discussion before a vote would be made. Howard said the seven-person executive committee, along with their attorney, mainly wanted to look into the way the board currently conducted itself, and the potential legal implications the approval of the resolution may bring. Howard did acknowledge had there been a way to conduct background checks at the time of the private sales, the executive committee may have reacted differently. However, he also acknowledged expecting those engaged in a firearm sale to coordinate and pay for a background check to be done at a licensed dealer, separate from the sale, was not feasible, nor was there any way to enforce it.